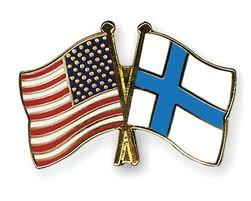 How exactly is Finnish gas "cleaner" than US gas? This is the main gas used in Finland. "95 E10 gasoline, containing a maximum of 10% ethanol, and suitable for the majority of today’s engines, is set to become the standard-octane gasoline in Europe from the beginning of 2011. The fuel’s higher bio content will help reduce the amount of carbon dioxide emissions released by traffic and transport." Seems that this gas which is becoming the standard in Europe is helping to reduce carbon dioxide emission levels. So, I guess in that effect it is "cleaner".